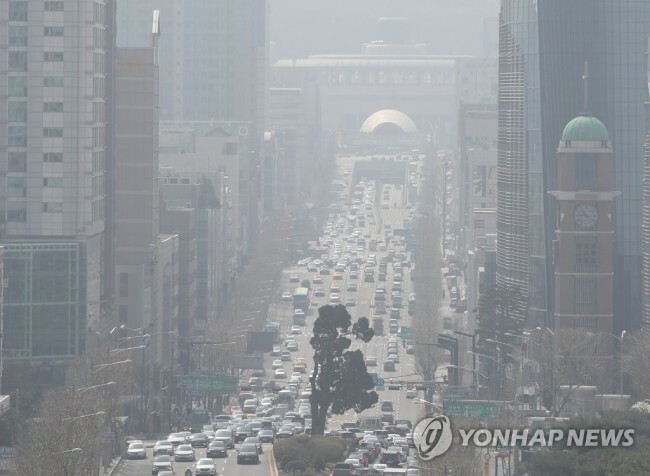 With people becoming more aware of health and weather conditions, weather reports such as concerning the levels of fine dust have also become influential in consumer choices in South Korea, a report showed Wednesday. Resorts and amusement parks, for instance, saw sales figures slip 30 percent or more on days with weather forecasts of fine dust, according to a report from Hana Institute of Finance. The report found a significant correlation between daily credit card sales per industry sector and the amount of news coverage on fine dust. During the 50 percent of the year when news reports on fine dust appeared most frequently, resorts and condominiums saw their sales by credit card fall 36 percent compared to the remaining half of the year, the report showed. Entertainment facilities also underwent losses on days there were rampant reports of air pollution. Amusement parks saw the corresponding figure drop 35 percent, while cinemas and theaters saw a 25 percent decline. Laundry services, on the other hand, gained amid pollution fears, making 40 percent more in credit card settled sales on dusty days than others. Car sellers and ear, nose and throat doctors also earned more on dusty days, reflecting consumers’ fears of exposure to the microscopic dust. “Consumer behavior was more influenced by the extent of related news coverage than the actual level of dust, as people tend to perceive news as their key source of weather information,” said Jung Hoon, an analyst at the institute.